For your convenience, Kings Harbor offers surface parking and a covered parking garage. 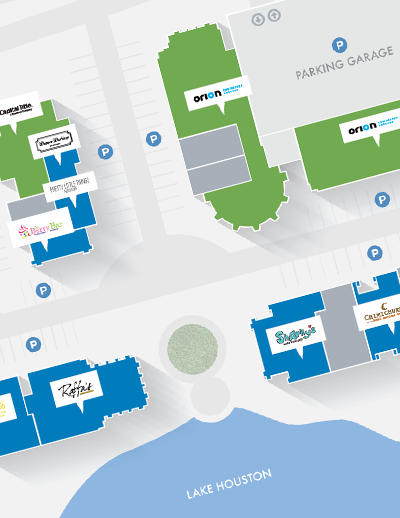 In order to create Kings Harbor's dynamic urban pedestrian environment, a portion of the parking spaces are located in the covered parking garage and pedestrian access is extremely convenient through the building lobby. 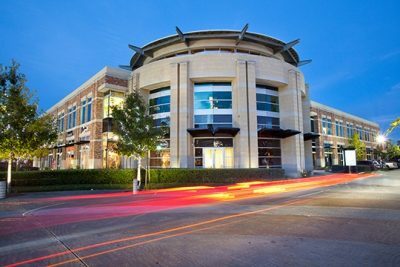 Developed by Midway, Kings Harbor is a 20 acre mixed-use development, which provides the Kingwood / Atascocita market with an upscale development with a real sense of place. Kings Harbor includes a number of uses, including retail, restaurants, office and residential, planned into one cohesive development. Kings Harbor has the unique distinction of being the only commercial development within the market located directly on Lake Houston. For more information about leasing opportunities, check out our leasing brochure or contact Adam McAlpine. Planning to visit Kings Harbor? Download and print our site plan before your next trip. Midway — Our purpose is to create enduring investments and remarkable places that enrich people’s lives. Houston-based Midway is a privately owned, fully integrated real estate investment and development firm that has provided the highest level of quality, service and value to its clients and investors for more than 48 years. The Midway portfolio of projects completed and/or underway consists of approximately 45 million square feet of properties in 23 states and Northern Mexico ranging from mixed-use centers, corporate headquarters, multi-family, entertainment, hospitality, business and industrial parks, and master-planned resort and residential communities. Since its inception in 1968, Midway has created projects of distinction, aesthetic relevance and enduring value for its investors, clients and local communities. For more information on Midway, visit midwaycompanies.com.